New fan series BLADE OF HONOR launches a $30,000 Kickstarter campaign! BLADE OF HONOR is not technically Star Trek, but it is sci-fi and it looks totally awesome! Also, it’s KINDA Star Trek in that the new fan film series features various Star Trek alumni actors, including Tim “Tuvok” Russ (who seems to be everywhere in the fan film world these days! 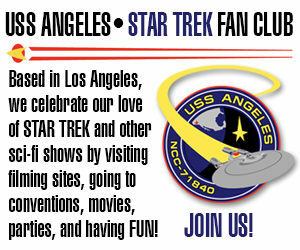 ), Aaron “Nog” Eisenberg, and Cirroc “Jake Sisko” Lofton. Also cast are Richard Hatch from Battlestar Galactica, James Kyson from Heroes, Brandon Stacy from Star Trek: New Voyages/Phase II (and also Zachary Quinto’s “Spock” stand-in), Rivkah Raven Wood also from New Voyages as well as Star Trek: Hidden Frontier, and Ryan T. Husk from Star Trek: Horizon, Star Trek: Renegades, and various other Trek fan films. 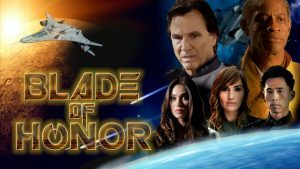 The production talent behind BLADE OF HONOR includes the aforementioned Ryan Husk plus Mark Edward Lewis, Steven Stone, Clayton Turnage, and Jennifer Nash…who combined have over 120 years of experience producing and creating television, feature films, webisodic, and short-form media in Hollywood. Working on the visual effects are Tobias Richter and The Light Works, Pony Horton, and Tommy Kraft (creator of Star Trek: Horizon). Click here to learn more and contribute to their Kickstarter campaign. This Kickstarter goes until June 21, 2016.